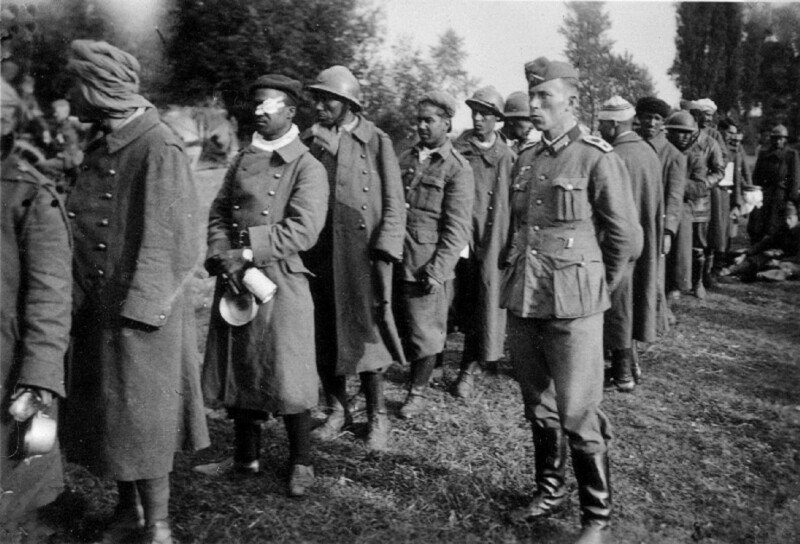 Following the liberation of France, from which black soldiers were excluded by Allied High Command, the tirailleurs were stripped of their uniforms and hurriedly sent back to Africa. Largely unpaid, they were told they would receive backpay upon their arrival. Some of the West African troops were suspicious of French authorities and refused to board ships to depart until they received what they were owed. One such incident occurred at a camp in Huyton on Merseyside in England. Tirailleurs being repatriated were taken to a holding point at Camp Thiaroye, near Dakar in Senegal. Those stationed there were already upset at poor treatment by the white colonial authorities, following fighting for France and experiencing the horrors of the Nazi POW camps. So when they were told that their payment could only be converted into the local currency at half the actual exchange rate, discontent boiled over. On 30 November, 1944, around 1300 tirailleurs mutinied and began protesting against poor treatment and for equal pay with white soldiers, taking a French general hostage. The official death toll of the repression was 35, although meticulous research by French historian Armelle Mabon suggests a much higher number of victims - around 3-400 - which is more in line with the estimations of veterans. Apparently, there's a film about it - https://en.wikipedia.org/wiki/Camp_de_Thiaroye. Ah, I see you got that at the end.